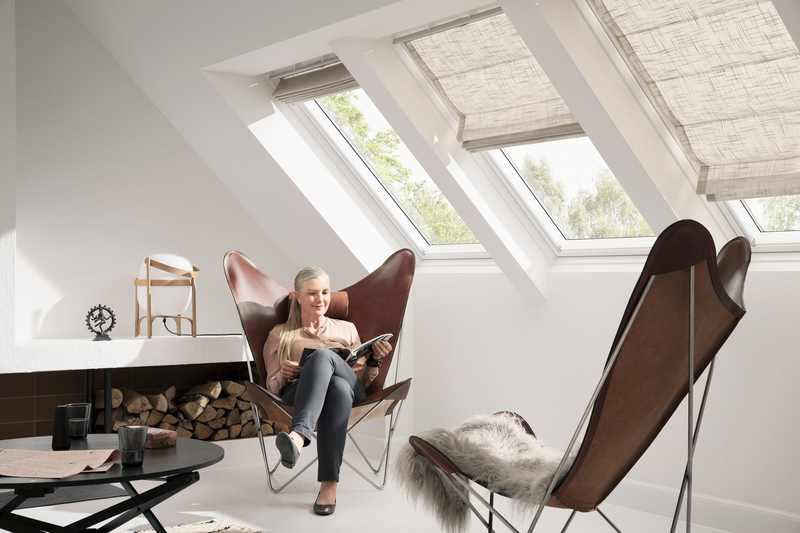 Get ready to enjoy a wide range of decorative solutions with our new VELUX Roman blind. Explore the infinite potential of beautiful fabrics and be inspired by the soft styling effects that make this collection refined and original. And due to the Roman blind’s specific design, you can easily change the fabric in a matter of minutes. Just pick your choice! Available in 20 colours with different light transmittances. The manually operated Roman blinds are very easy to use. The blind runs in side rails that ensure a smooth operation and stepless positioning. 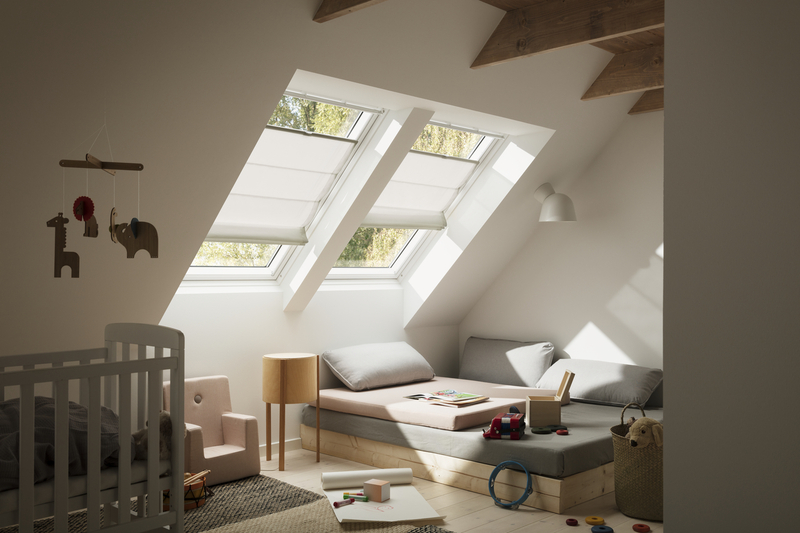 It is neither attached to the bottom nor top of the window allowing you to adjust the blind from the top down as well as from the bottom up. 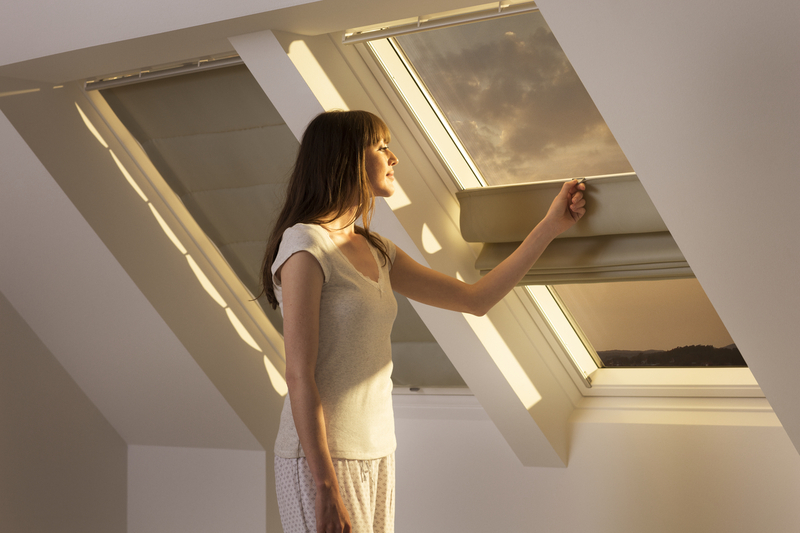 Simply use the control piece at the bottom or top of the blind and raise or lower as you please. To ease the operation of a manually operated blind with control bar, you can also purchase rod controls and rod extension pieces. The Roman blind fabrics are made of different materials and can be dismounted for easy cleaning. All fabrics are sold separately for endless flexibility in style – whenever you like! Finding the right balance of warmth, light and (insect free!) fresh air often requires multiple sunscreening products. 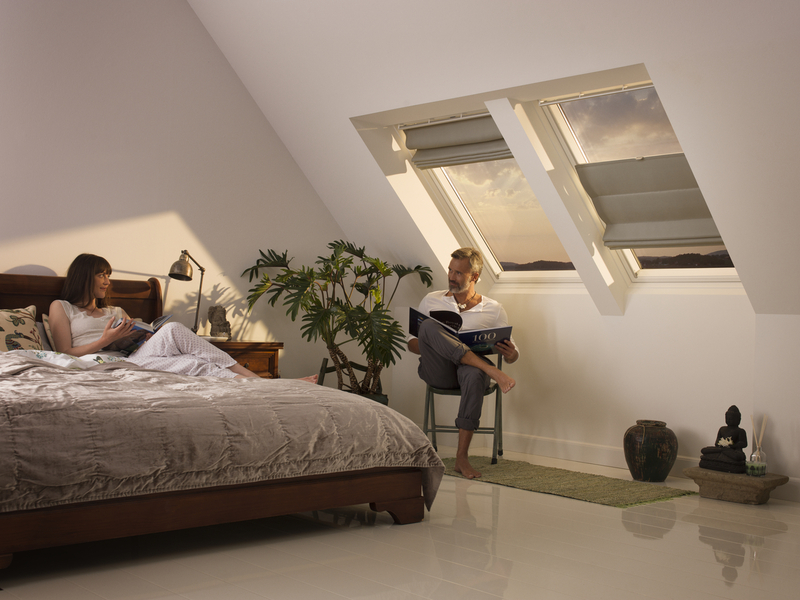 Through combining different VELUX sunscreening products there’s an optimal solution for every room.